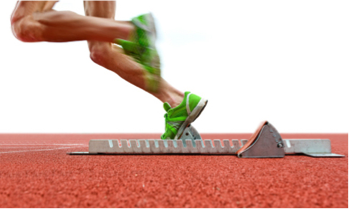 A Sprint Goal provides a focused objective for the team to produce an increment of software. It consists of a short description of a business or technical outcome that the team plans to achieve during the sprint, for example “Implement basic user profile entry (CRUD: create, read, update and delete)”. Each sprint should be given a unique goal stating why the increment is worthwhile; this acts to align the team whilst planning, during the sprint and at the review. Prioritisation – A goal supports the ordering of product backlog items when selecting content for a sprint. The Product Owner should select the initial goal for the sprint and then select stories to support that goal. Note that during sprint planning the scrum team may agree to change the sprint goal to reflect the work finally selected. Within the sprint the goal also becomes vital for the team when they are deciding ordering for tasks. Focus – As well as providing a basis for the sprint planning session the goal provides a reason and shared objective for the increment to guide the team and enable commitment. The target is then for the team to accomplish the sprint goal and not just to complete the list of selected stories. Feedback – Having a goal makes it easier to identify relevant users to review the increment and to receive quicker focused feedback. Analysing the feedback against a single goal is also easier than multiple disparate comments raised against several different stories. Communication – Speaking to stakeholders and other agents outside of the team is easier when discussing what a sprint is for and helping them to decide if they should be attending the sprint review. Where it is to be done? Which product backlog items are needed? 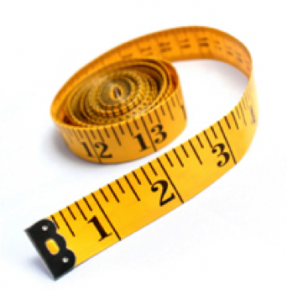 Measurable – The goal needs progress to be quantifiable, whether this is by seeing progress by the number of stories completed or by associated acceptance tests. Attainable – It must be realistic for the team to be able to accomplish the goal within the sprint considering all other factors. A stretch goal by a high-performing team is fine if they decide to write it but, as always, it is the team that decides to accept the goal or not. Relevant – The goal must address a challenge upon the project and move the team closer to the release or overall vision. Early sprints often focus on the reduction of risks and uncertainty (learning), later sprints generally focus on delivering customer features (delivery). Time-bound – The goal must be achievable within this sprint. The goal should be displayed prominently on the task board during the sprint so that the team can reflect on it at each daily scrum. 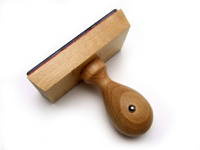 If the goal is rendered obsolete then the product owner should cancel the sprint, this is understandably rare. Sprint goals can be missed by teams due to many reasons – insufficient understanding, over-committing, discovery of technical debt, resource reduction etc. Missing a sprint goal is an essential item to be raised during the sprint retrospective to find the underlying reason. Good work, the sprint goal has been demonstrated in the review and accepted. Another successful sprint chalked up, onto the retrospective and then straight into planning the next sprint. Reality annoyingly does not always reflect estimates so sometimes a team will accomplish the sprint goal early, does this mean an early trip to the pub? Unfortunately not, the Scrum Guide states that the development team must collaborate with the Product Owner upon the scope of the Sprint backlog, this enables additional product backlog items to be pulled into the sprint. 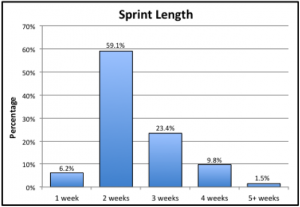 The Sprint Goal is a great device utilised by Scrum Teams to add cohesiveness to each cycle of development. High-performance Scrum teams probably no longer need this uniting target and good luck to them, this blog is called Pragmatic Scrum for a reason so for now I will still be using a Sprint Goal. Quick question, what sprint length do you use and why? My guess is that you answered two weeks, I’m right aren’t I – well at least around 60% of the time. The Scrum Guide being the fount of all knowledge gives the following rule – a sprint is a “a time-box of one month or less”. 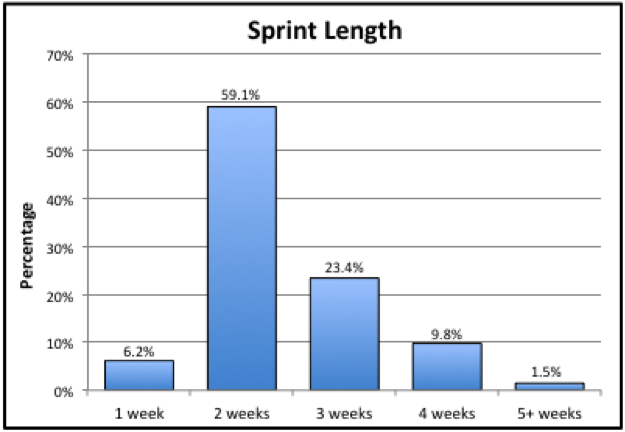 I don’t want to appear hardline but if your sprints are longer than a month you should really consider if you are doing scrum at all. When a sprint is in progress it’s duration cannot be changed, unless it is cancelled of course. The scrum master, in collaboration with the development team and product owner can elect, prior to a sprint beginning, to alter the duration. The process is usually that duration is discussed in the sprint review in response to an issue and investigated within the sprint retrospective. When a collective agreement is reached the scrum master can decide whether change the sprint length, or not. The scrum master should strive to reach a consensus with at least the development team, as an adversarial relationship is not going to operate well at that level. There is advice stating that if teams struggle to achieve all of the work within the sprint then the duration should be halved in order to force the issue and encourage change. This may be worth trying but really only in agreement with the team as it will be difficult. Do not change the sprint length frequently as velocity becomes meaningless, meetings become difficult to organize and the team will be disrupted. Having said that do not be frightened to alter the sprint length if the project or team requires it. One exception to this is the popular practice of running the first three sprints at one week for a new team to force the process under pressure to bed in. The first three sprints are usually all over the place in terms of velocity for a forming team so the risk is low. After the three learning sprints the team will generally revert to two weeks for the rest of the project. Release sprints or hardening sprints are controversial but used by some teams still transitioning to Scrum. They are usually kept to the length of a normal sprint so as to avoid breaking the team rythm. Using a longer sprint reduces the need for these ‘false’ sprints. There is a lot of advice out there for selecting the duration for sprints based on risk, return on investment, feedback cycles, market dynamics but really my advice is just to pick two weeks and see how it goes. 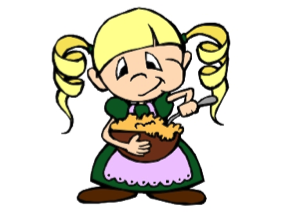 The Goldilocks principle specifies that things should fall within defined margins, away from extremes. For most projects four weeks is too long and one week is too short so two weeks is probably just right. Good overall advice for sprint length is “as short as you can, but no shorter”. If you cannot achieve a completed story with end-user value in a sprint to the product owner’s satisfaction then consider increasing sprint lengths, but only after trying everything else. Converting teams from traditional methodologies to Agile is a journey, if as a group they feel that they need to start with a four-week cadence due to cultural, environmental or projects issues then accept it – for now. You will see advice saying to avoid three week sprints, don’t listen – quoting natural cycles and the difficulty of synchronizing three weekly events is all rubbish. Three weeks is the second most popular choice for sprints, in my mind it’s not as good as two weeks (or even one) but at least it is better than four. Shorter sprints, one week or less are great if you need to innovate faster than the competition and pivot quickly whilst seeking value. 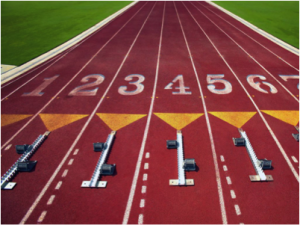 Lean start-up, fail-fast, excitement and energy are all heightened in shortened sprints, unfortunately so is the risk of burnout, incomplete work, lower quality and a short-term viewpoint. Day sprints would be great as well but only for the appropriate development. As always we have a complication, some teams use sprint zero as a preliminary increment in order to form the team, set up the development environment and perform enough architecture and design so that the project can begin. Sprint zero is limited to a maximum of three times the normal sprint length; with an average two-week cadence this gives a maximum length of six weeks. The Scaled Agile Framework defines an “Architecture Runway” for effectively the same purpose. Scrum provides great opportunities to inspect and adapt so collaborate to select an initial sprint length and following a bedding-in period of at least two sprints discuss and decide how to move forward. Do favour shorter sprint durations over longer ones due to the improved feedback cycle but in summary, do what is right for your product and allow the team to decide. Thanks for reading this far and apologies for the long posts, all aspects of Scrum are deceptively simple in theory but have so much depth in practice. The next post will be on the Sprint Goal, should be nice and short – or not. Please sign up if you would like to receive an e-mail whenever new posts are added.